Mexican restaurants are big in Barcelona but fall into two categories: those with fussy folkloric motifs, garish sombreros and throat-stripping tequila, or extravagant establishments boasting the nation’s most obscure cuisine, from chapulines to huitlacoche. Pikio Taco is a refreshing alternative. This taquería offers a modest selection of straight-up tacos, nachos and quenching margaritas, Negra Modelo cerveza and micheladas and a Mexican Bloody Mary. Try the beef or cochinita (pork) with avocado cream and pico de gallo with coriander, or the salmon tartare, ideal for summer days. A vegetarian option includes wild mushroom, red bean and sweet corn. 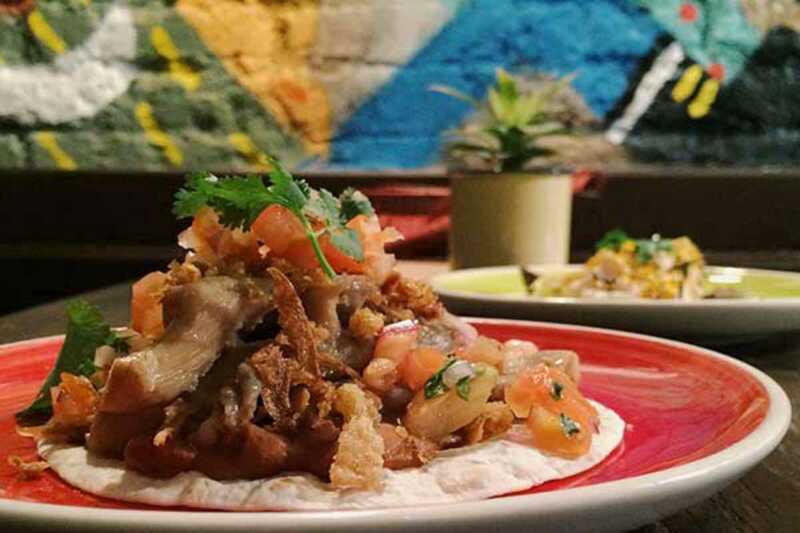 Named after the restaurant’s exquisite feathery mascot (you’ll get it when you see him), Pikio has graffitied, exposed-brick walls that lend it a cantina vibe. Expect a soundtrack of rock and electronica and a 101 in Mexican indie classics: there will be no “La Cucuracha” here.